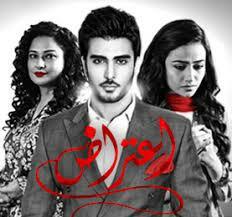 Aitraz is a new drama on ARY Digital staring Imran Abbas and Sana Javed as the main leads. The first episode was aired on 11th August 2015 where we see that Komal and Wajdaan are deeply in love with each other but in the flash back. In the present we see Komal is getting married to Arsalan and the entire episode was in the flash back showing the love story of Komal and Wajdaan.Komal is not very happy with Arsalan but she is compromising towards the whole relation, at some point she is happy whereas the flash back makes her think about the decision of getting married to Arsalan. She lost her parents and her love but still the exact story is not revealed.Komal is in deep thoughts about Wajdaan, Rania who is Komal�s best friend at the end of the episode broke the ice about the whole break up and this made Komal get aggressive.